Dr Obiageli Ezekwesili has announced her withdrawal from the Presidential race. Her reason for withdrawing is to give room for a proper coalition that will have the muscle to defeat the People’s Democratic Party and the All Progressives Congress in the forth coming elections. The announcement was made through Ozioma Ubabukoh, the Obiageli Ezekwesili Presidential Campaign Organisation. According to the statement, this decision was reached after due consultations with Nigerians at home and abroad. 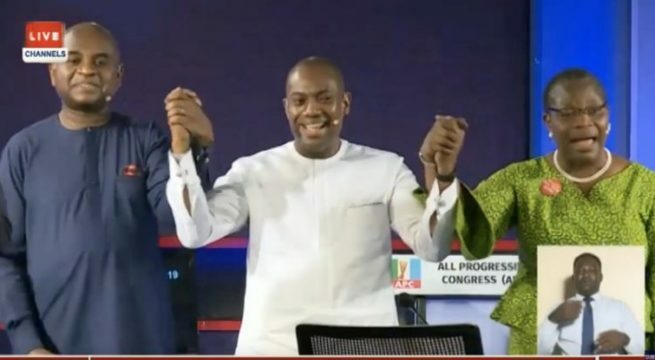 A critical examination of Nigeria’s electoral reality after the presidential debate which held on Saturday the 19th of January 2019 also influenced the decision. She said “This decision followed extensive consultations with leaders from various walks of life across the country over the past few days. I deem it necessary for me to focus on helping build a veritable coalition to ensure a viable alternative to the #APCPDP in the forthcoming elections. As at the time of publication, the details of the proposed coalition and what parties were involved in it were not yet known. We shall bring you details as they break.